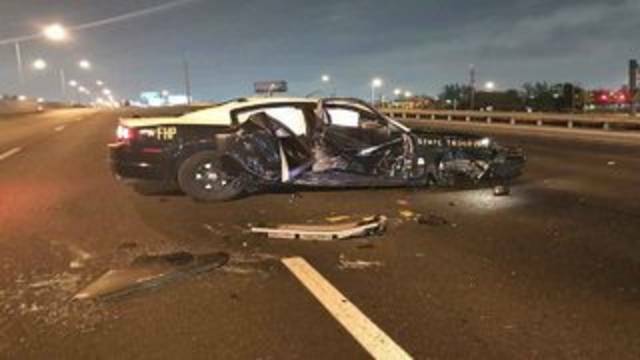 A Florida Highway Patrol trooper was seriously injured while investigating a crash along Interstate 95. Lt. Alvaro Feola said Trooper Mithil Patel was standing near the northbound lanes early Monday when he was struck by a car. 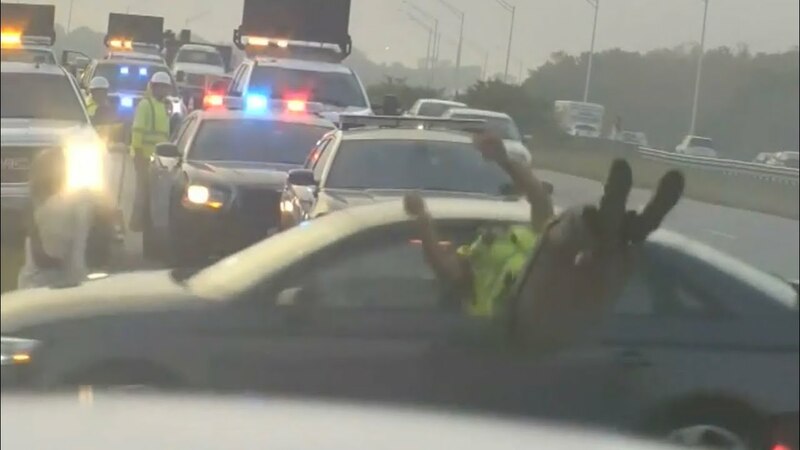 Video recorded by WPEC, the CBS affiliate for Palm Beach County and the Treasure Coast, captured the entire incident. It shows Patel speaking with another man on the side of I-95 when a black Audi spun out of control and started barreling toward them. Patel can be seen pushing the man, whose back was facing I-95, out of the way before he was struck. The impact sent him flying into the air and landing on the ground. Several workers who were cleaning the debris from the previous crash rushed to help Patel. Feola said Patel was taken as a “trauma alert” to St. Mary’s Medical Center in West Palm Beach.